Hours of Operation: Mondays-Fridays from 9am-5pm, Weekends and Evenings are also available! Tails On Trails LLC, is hiring exceptional, passionate dog walkers and cat sitters to add to our team! We specialize in GPS tracked, private and small-group walks in the downtown Jersey City area. We focus on providing outstanding customer service and take great pride in delivering the best care possible to the pets entrusted to us. Our goal is to create a consistent, reliable, fun, and safe experience for dogs, improving their quality of life and their owners. We have a 5-star Yelp review rating and are looking for someone who can help our team maintain that consistent, high-caliber level of service. Our team members also have the opportunity to get involved with the growing business by participating in creative meetings, discussing ideas for new projects, clients services, and taking on additional assignments from events to blogging to promotions. Whether you're interested in part-time dog walking or a long-term career as a pet care professional, there is always an ongoing opportunity to grow with Tails On Trails LLC! If you have the same level of passion and excitement about dogs and cats that we do, then we encourage you to apply! This position is for daily dog walkers who may also be responsible for overseeing on-site play groups or group walks at assigned luxury or high-rise buildings in downtown Jersey City. You may be assigned to a specific building in Jersey City, where you will be the curator for daily play groups and group walks. You will be the point of contact for communications with your assigned building, ensuring all amenities and services are delivered as expected. All of our dog walkers are responsible for providing a consistent routine and exercise for their assigned dogs each day. Appointments are usually in half hour or one hour increments. Dog walkers are also responsible for checking the dog's water and food supply to make sure basic needs are met after their walk or play group. You will also need to know how to put on different harnesses and collars, and monitor them for any wear and tear. Proper in-home etiquette and professionalism is a must. We are looking for a punctual, caring, professional, athletic, positive, trustworthy, and ultra-reliable individuals. We work in all conditions, from sun to rain to snow, team members need to enjoy being active and outside in all types of weather. • Must LOVE dogs and have experience with dogs and/or cats! Professional experience is preferred! • Live in Jersey City (or in the nearby area with a car/bike to commute). • Have strong verbal & written communication and customer service skills. • Be self-motivated and able to work independently. • Be detail oriented and have good time management skills. • Have a smartphone with access to email and a data plan (no prepaid plans please). • Be physically fit to work in extreme weather (cold or heat), and have appropriate gear. • Own reliable transportation: car, a bike with a lock, scooter, or skateboard. • Be able to pass a criminal background check, provide references, complete an I-9 form to work in the U.S.
• Be able to start training and working ASAP. • Take pride in your work and have an ongoing commitment to excellence. 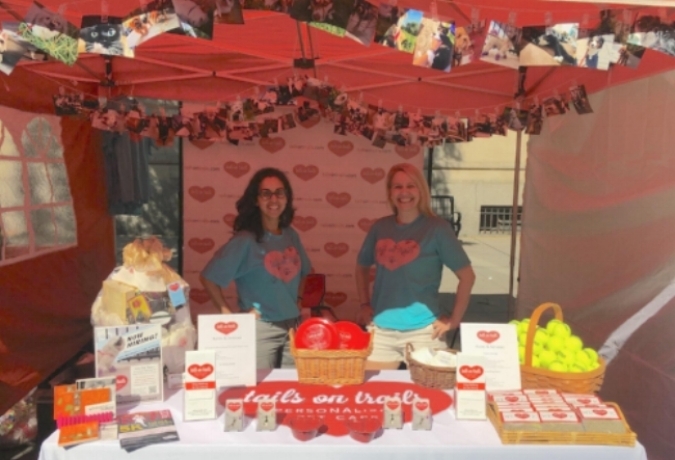 As one of the oldest and trusted pet care companies in Jersey City, Tails On Trails LLC has numerous opportunities for our team members to be a part of our growing success! If you are interested in joining our team, please email us your resume and answers to the following questions. Emails should be sent to info@tailsontrails.com. Please then fill out the application form below or click here. 1. Tell us about yourself and your experiences with dogs and pet sitting. Do you have any professional pet care experience? 2. Why do you want to be a dog walker? 3. Do you have another job? 4. What kind of smartphone, operating system, and data plan do you have? We use a specialized GPS tracking app for all client appointments and scheduling, which is why a smartphone with a compatible OS and a data plan is mandatory. 5. Do you have a car, a bike and a lock or scooter? Interviews will be conducted in Downtown Jersey City. Please do not contact us by phone regarding this position. Thank you.